If you’re considering taking up woodwork as a hobby or profession, then you should definitely read on. 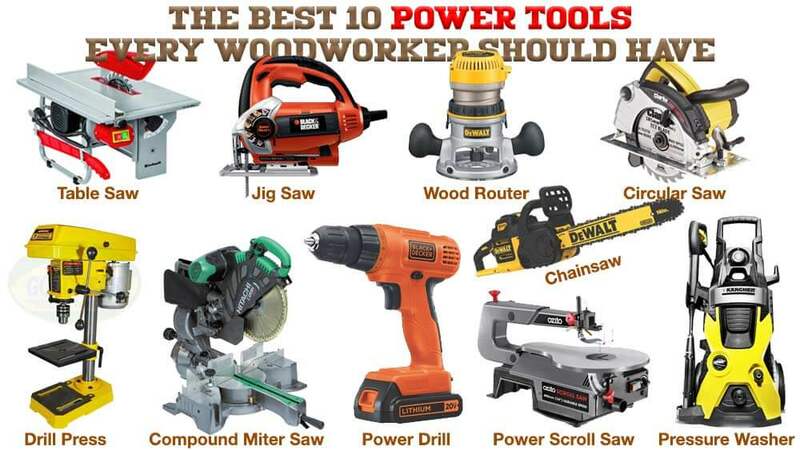 Here in this article, we’re going to cover the top 10 best power tools that every woodworker should have in their arsenal. 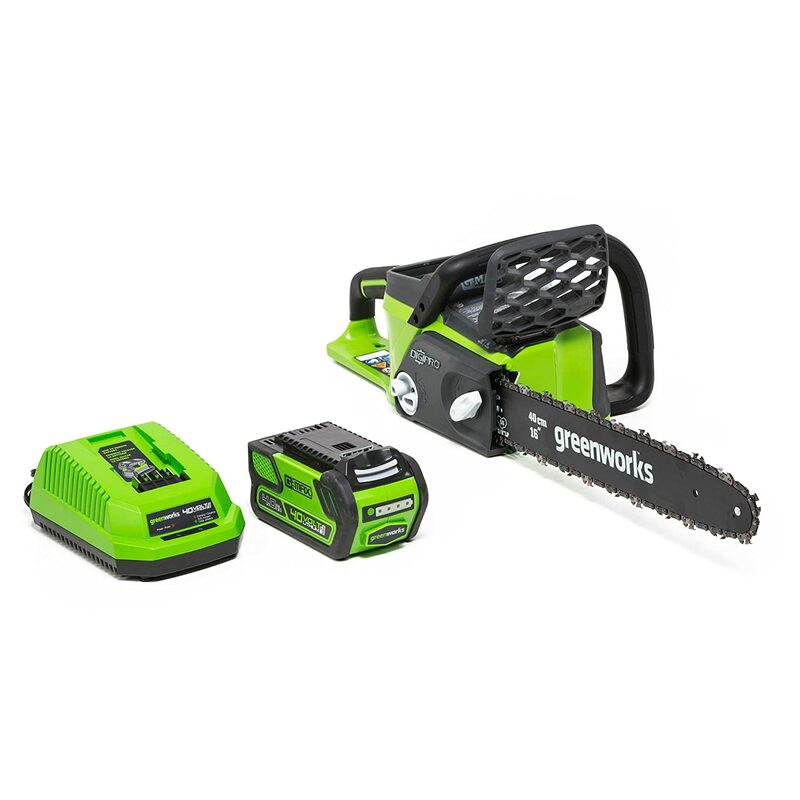 There are a lot of great power tools out there for all sorts of different purposes. Narrowing it down to only 10 is difficult so we will include only the tools that we think are the most essential when you’re starting out. Hopefully, this guide simplifies things for you, so all the options aren’t so intimidating. It makes sense that we list the table saw in the first spot as most would argue that it’s the most important power tool in any workshop. It is a woodworking tool that works by having a spinning blade which protrudes through the surface of a table, which is there to provide support to the material being cut (usually wood or similar). Most table saws allow you to vary the depth by adjusting the blade either up or down, this way you can make very precise cuts more easily than you can with other saws. It’s the tool around which all of the other tools in the workshop are arranged and used, so you’ll want to take your time and ensure that you get a table saw that suits your needs perfectly. It’s worth noting that there are 3 different main types of table saw – the contractor table saw, hybrid table saw, and cabinet table saw. Of these 3 the cabinet table saw is the most powerful and least portable, if you want something precise and heavy duty for your workshop then this is your go-to. 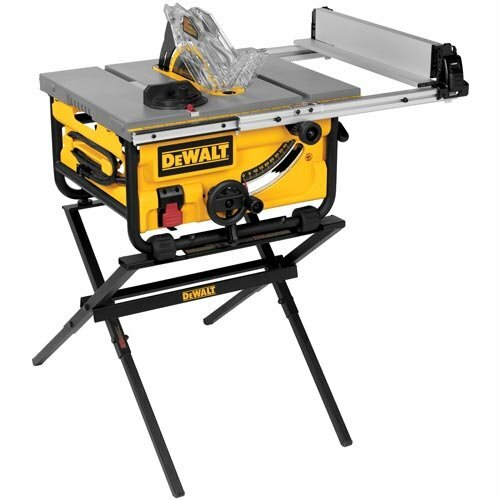 Otherwise, if you’re looking for something more portable, and lightweight you’ll be better of with a hybrid, or contractor table saw. The circular saw is another must-have for every woodworker. It has a spinning blade used to cut through wood much like the table saw. But instead of being mounted to a table, it is actually a handheld tool. Although, using clamps you could use a circular saw for just about anything that you use a table saw for. 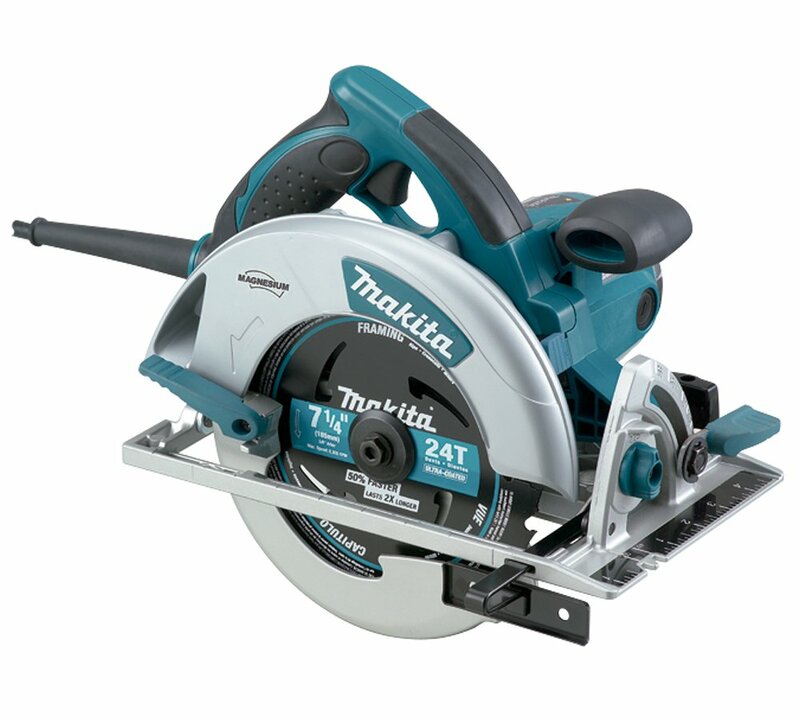 As a circular saw is very versatile, and quite cost friendly so it should be one of the first tools that you look for when you set up your workshop. Everyone who has experience in woodwork will tell you that a good wood router is an essential addition to your workshop. The purpose of the wood router is to enable you to shape to the edges of wood and hollow out(in other words “rout”) an area of solid material, namely wood (or plastic). Considering its functions it’s obviously very useful for working on cabinetry, tables, door handles, chairs, and much more. One thing to keep in mind when you’re assessing which type of wood router to purchase is whether you want it to be heavy duty or lightweight. As is often the case with power tools, lightweight often means trading some power/performance for increased portability. A chainsaw is a portable handheld saw that cuts wood with a set of teeth attached to a chain that wraps around a guide bar and rotates. As you can imagine such a tool has a wide range of uses for us craftsman, some even use chainsaws for art, with wood, or ice etc. It’s worth mentioning that operating a chainsaw comes with a particular set of risks. It’s always a good idea to get some training, or guidance from someone experienced before jumping in the deep end. 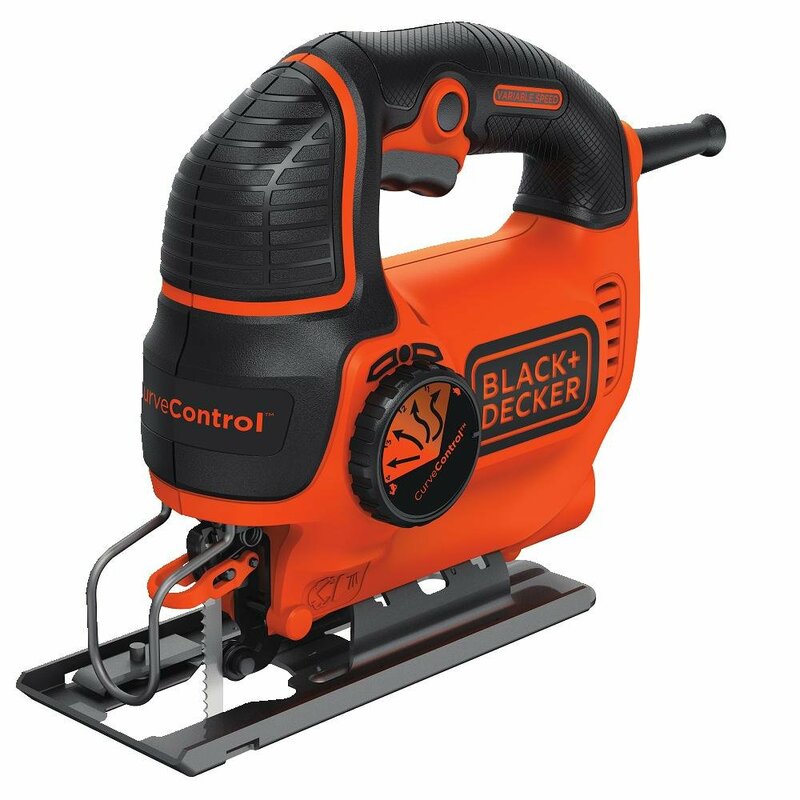 One tip to consider purchasing a chainsaw is how much power you need for your tasks, keep in mind that the more power the saw has, the bigger the engine it will have. And that makes it more difficult to start and lug around. 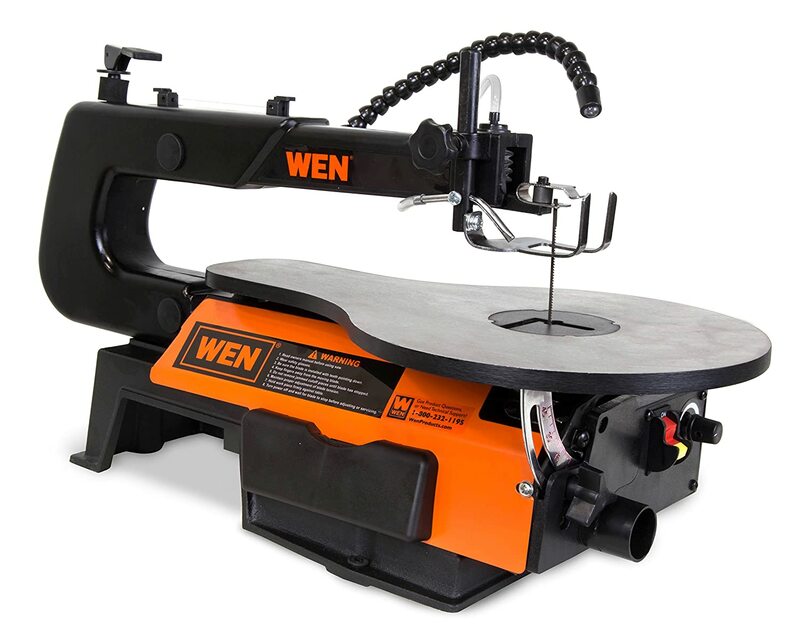 The scroll saw is basically a high precision electrically operated saw. It comes in handy for work where you need to pay attention to fine details. Many people use a scroll saw to fuel their creative passion for making art from wood. They find it so useful for this purpose because of this saws exceptional precision. Some examples of what a DIY enthusiast or hobbyist might use a power scroll saw for are creative things like etching scalloped edge onto a mirror frame, or something more practical like constructing a cabinet. The precision of its blade allows cutting that’s more accurate than that of a jigsaw, hand saw or coping saw. And is much more capable at creating bends and curves in the material. 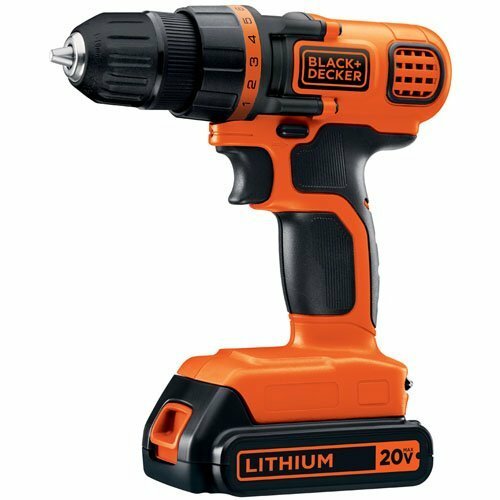 A power drill is a hand-held power tool powered by an electric motor. It uses a spinning drill bit to bore holes into all sorts of material including plastic, metal, and wood. It’s actually a very essential tool for every woodworker to have, and even just for your average Joe. This is because it’s a rather common task to need to bore a hole into some wood during a design project, or even just installing fittings to the wall. The Drill Press is a must-have tool. It can perform similar tasks to a hand drill but offers a much higher level of accuracy than you could achieve by hand. 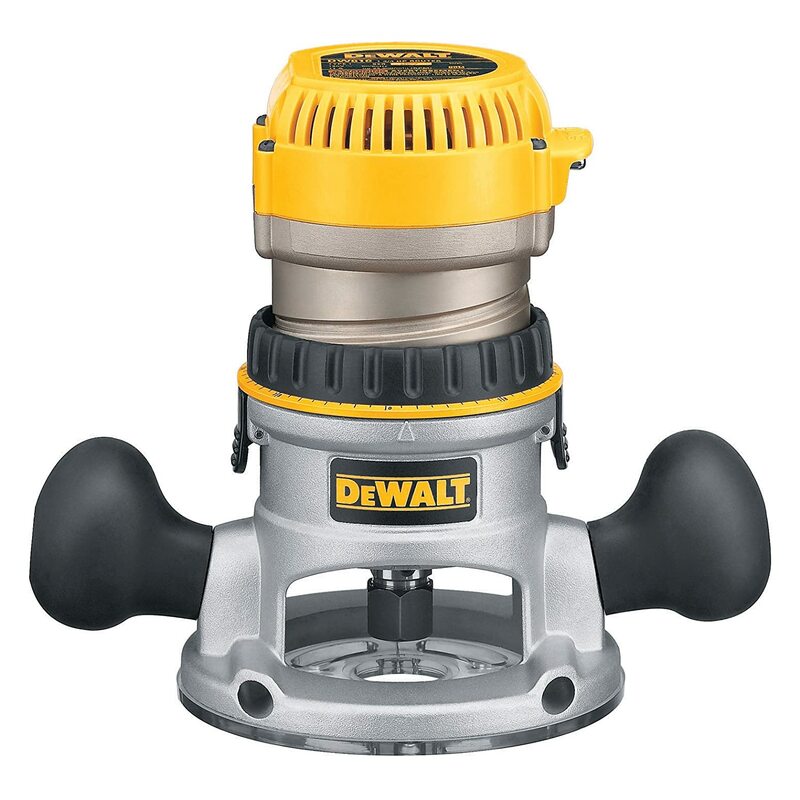 It’s also great for drilling repeated holes over and over, to a set measurement without making your arms too fatigued. Because the motor is much large than that of a hand drill, you will find they have a lot more Horse Power (sometimes 1/2 HP or more). 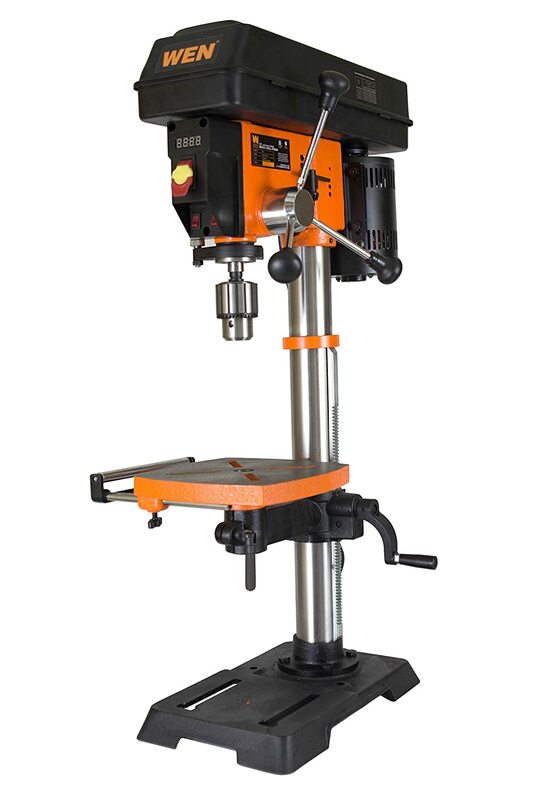 There are three main types, the bench top drill press is most common. There is also a floor standing variety with a longer column length, and a “small” drill press, used for making jewelry and other more delicate work. Drill presses are can be used with wood, metal plastic and more, you will just need to get the right drill bit for the material you’re working with. The size of a drill press is measured in inches and refers to the size of an object that it can drill into. It’s also known as “throat capacity” which is half of the swing, meaning an 8-inch drill press has 4 inches throat capacity. Benchtop models tend to possess a swing of about 8 inches. Whereas the larger floor drill press has a swing of up to 18 – 20 inches. If you want to work with large-scale woodwork projects a floor or benchtop model will do. We generally recommend the benchtop model as it’s powerful and robust but still somewhat portable. The mini/small design is most portable, but for most of us it’s far too little to be of much use – but if jewelry design or circuitry is your thing then it could be for you. A compound miter saw is a great tool for any DIYer or hobbyist. They can easily and accurately cut wood for frames, doors, window sills and much more. If you’re looking into purchasing one of these you should consider which type you would most likely need for your tasks as there are a few different options. The sliding compound miter saw has a blade which is designed to be able to slide back and forth allowing you to cut wider pieces of wood. 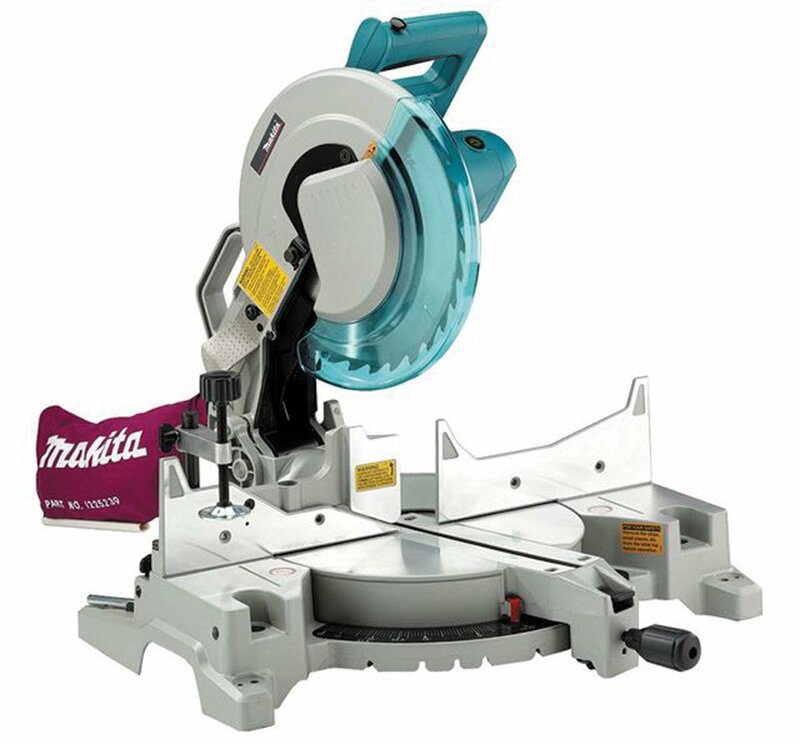 And there is also a “Dual bevel” type, which allows all the functions of a normal miter saw with the addition of being able to tilt the blade left and right as well. A Jigsaw woodworking is a powerful tool that consists of an electric motor that powers a saw blade moving in an up-down motion. They are great for cutting through the wood in straight lines, curves or on the 45-degree angle due to the bevel feature which is common. One downside of the jigsaw is that the blades are known to be quite brittle and easy to break, due to the fact that they’re completely unsupported at the bottom end. Fortunately, blades are fairly cheap to replace. Also known as a “water blaster” or “power washer“, this tool is extremely useful. 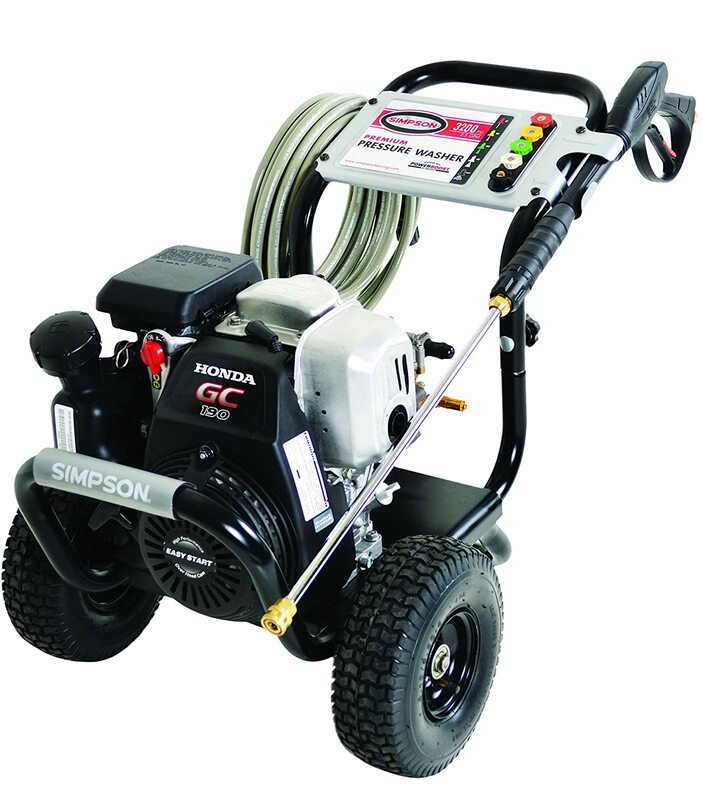 The pressure washer works by spraying water aimed out of a nozzle at extremely high pressure. As the water coming out is considerably faster than a normal garden hose be sure to exercise caution when operating this machinery. The water is usually so powerful it could penetrate the skin and cause serious injury. With that being said, as long as you take appropriate safety measures you shouldn’t have any troubles. There are many great uses for this tool. Remember that wooden veranda covered in moss and mold? The pressure washer will easily remove it. It will also easily remove old paint from metal and wooden surfaces, as well as taking care of dirt, and debris.